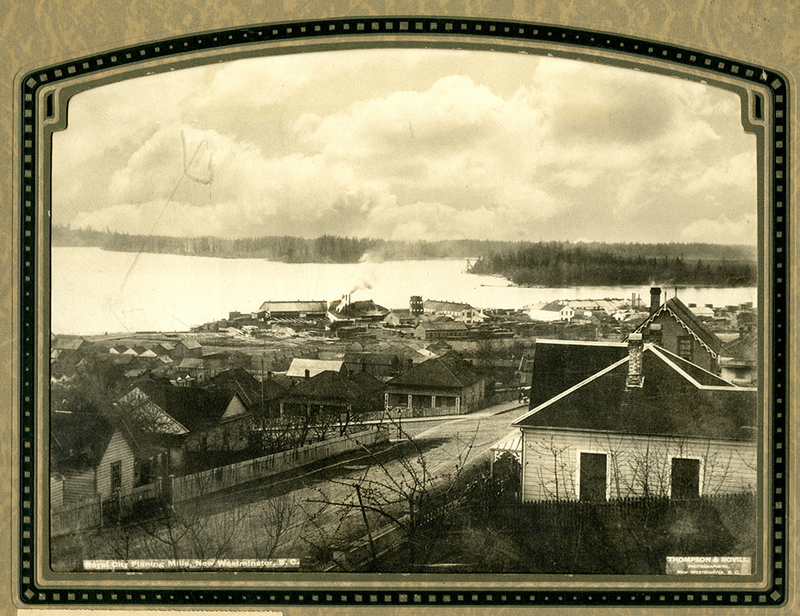 By 1874, the Jackman family had returned to New Westminster. 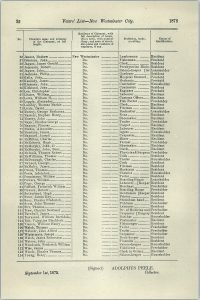 Jackman was listed as a gardener, resident (not property owner), and a registered voter in the 1876, 1877, and 1885 voting lists. A specific location of residence is not known until the family is listed as living on Agnes Street in 1882. Jackman did more than garden during these years. In April 1874, Jackman graded and repaved sidewalks on Columbia Street and received $750 for work on Dallas Street (now Carnarvon Street). 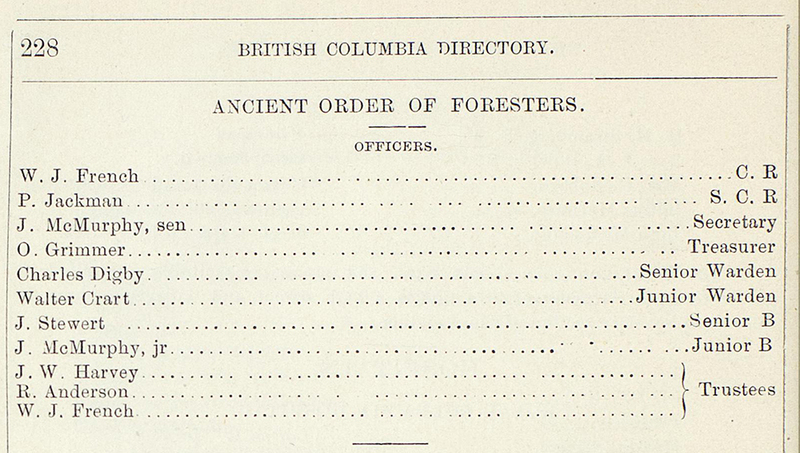 He and fellow ex-sapper Charles Digby also won a bid to finish building Vancouver’s North Arm Trail in 1874. The Royal Engineers had begun construction on this trail in 1860 but the work was abandoned. Jackman and Digby completed the remaining three miles connecting it from the north arm of the Fraser River to the first False Creek Bridge on Main Street. Philip Jackman also became a member of two local chapters of fraternal orders: The Independent Order of Odd Fellows (IOOF) and the Ancient Order of Foresters (AOF). Jackman performed many roles as a member and officer of the AOF. Between 1879 and 1885 Jackman was a Senior Woodward, Sub Chief Ranger, Chief Ranger, Senior Warden, Treasure, and trustee for the local AOF chapter. July 1879 also saw Jackman installed by the Grand Master and officers of the Independent Order of Odd Fellows as an Inside Guardian. It is not known how long Jackman was in this role, but he was a participating member of the Odd Fellows for 52 years.